Workplace health and safety is one of the most important responsibilities of any manager. Equally, health and safety programmes need to involve the company’s workers in order to be successful. There are a few different ways to involve your workers and make them more informed and invested in H&S, resulting in improved health and safety standards in your workplace. Research has shown that health and safety programmes which involve workers from the start are more successful, with the workforce better educated about health and safety issues and more invested in the process. You can involve workers by setting up a committee, which includes representatives from your workforce, to consult on the development of health and safety practices. Initiating and continuing long-term with an operating committee will preserve buy-in and longevity of health and safety standards. Health and safety should be everyone’s responsibility, not just the responsibility of management. An excellent strategy is to have peer representatives who are assigned responsibility for health and safety. These representatives may be responsible for a floor or a section of the workplace, or for a division or department of the business. The representatives should be nominated by their peers, and can report to a more senior health and safety representative, who then reports to management. The role of the health and safety representative is independent of management and can be union-appointed. Making sure all of your workers are well briefed on health and safety issues, and are up to date with your company’s health and safety practices, is key to keeping them involved. Make sure all new employees receive training on health and safety as soon as possible after they start working with you. Additionally, hold regular training sessions with all workers, and incorporate health and safety items into your staff meetings and training days. 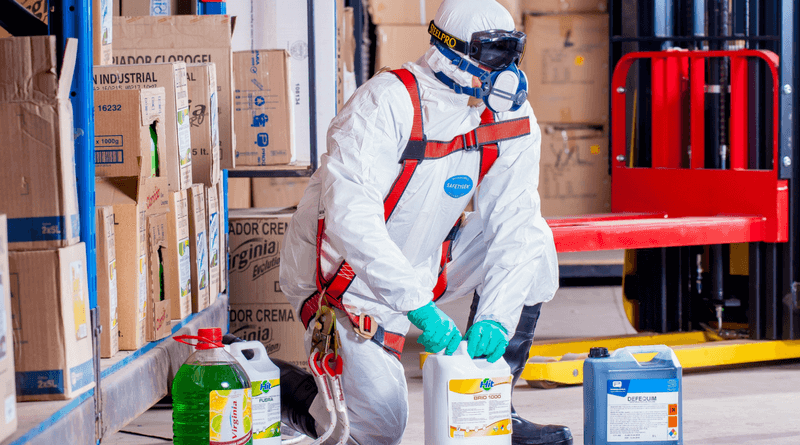 It is not enough to simply put the information out there and set policies and procedures – you also need to make sure that your workers are accountable for promoting good health and safety. Ensure that you have clear procedures in place, and that there are consequences for those who do not follow them. You should also include these requirements in all of your workers’ job descriptions and have a clear system for reporting hazards, incidents and close calls. There are many aspects to consider regarding your workers’ health and safety, including their physical and mental health. There are many ways you can promote health in the workplace, such as setting up fitness groups (e.g. lunchtime or after-work running clubs) and holding regular or occasional fitness sessions (even gym classes!). You should also foster mental wellbeing among your workers by encouraging good work-life balance and offering support for those who are having difficulties. Spending time creating an environment where health and safety is respected and prioritised can be far less of an expense than the cost to people, and the organisation, of personal injury or even fatality. Keeping your people safe, protected and healthy should be everyone’s priority.